Product prices and availability are accurate as of 2019-04-02 21:11:37 EDT and are subject to change. Any price and availability information displayed on http://www.amazon.com/ at the time of purchase will apply to the purchase of this product. 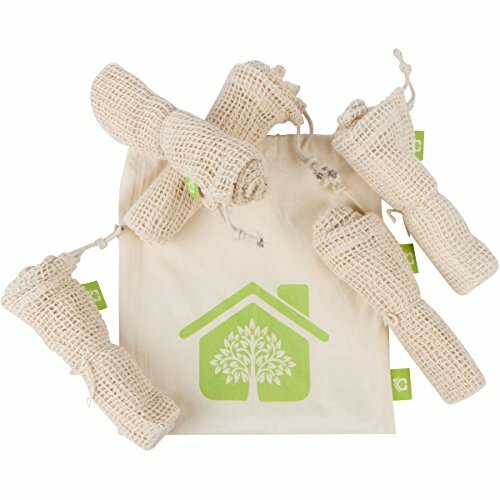 These stylish Organic Cotton Reusable Produce Bags are the perfect, easy way to reduce your plastic bag consumption. •End frustrating fumbling around trying to open plastic produce bags. 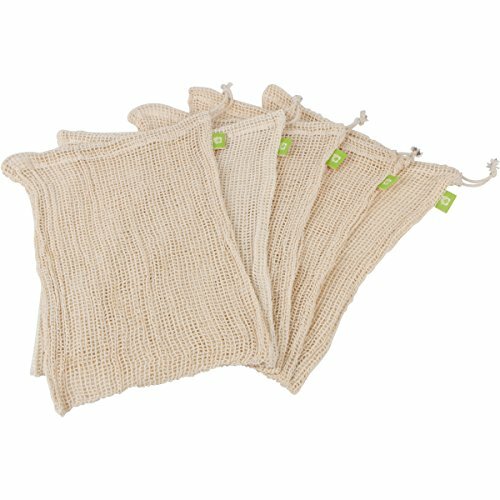 These high quality cotton bags open easily and the cotton drawstrings stay closed when pulled tight. 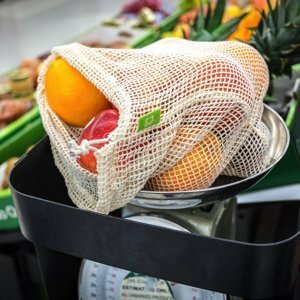 •No more sweet potatoes, corn or pineapples poking holes in those flimsy plastic bags and falling on the ground. 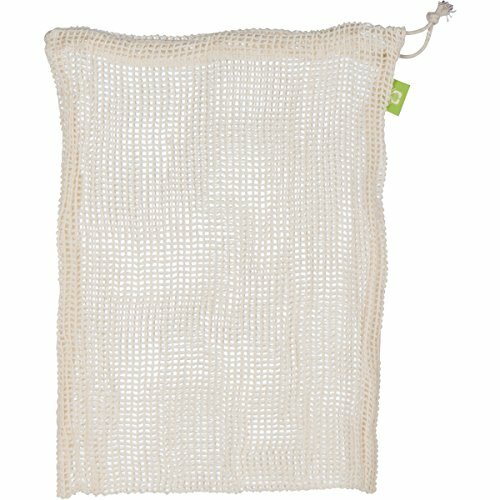 Now your produce will be safe and secure in these strong and sturdy cotton mesh bags. •Soft and natural GOTS Certified Organic Cotton reduces environmental pollution and is 100% biodegradable. Don't replace plastic with synthetic nylon and polyester. 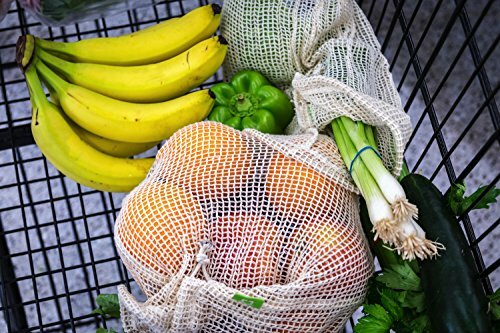 •Save money in areas where stores are already charging for produce bags. They will pay for themselves in less than a year when used weekly. •Speed through the checkout line. The stretchy mesh makes veggies easy to see and produce stickers easy to read. The tare weight of 1 oz is printed on the label. •Keep your bags organized in your bonus organic muslin carry bag which doubles as a great bag for bulk items like sugar and salt. •Perfect size for most produce and also great for organizing kids toys, small items in suitcases and anything else that you can imagine. It's time to up your game and say no to plastic produce bags. 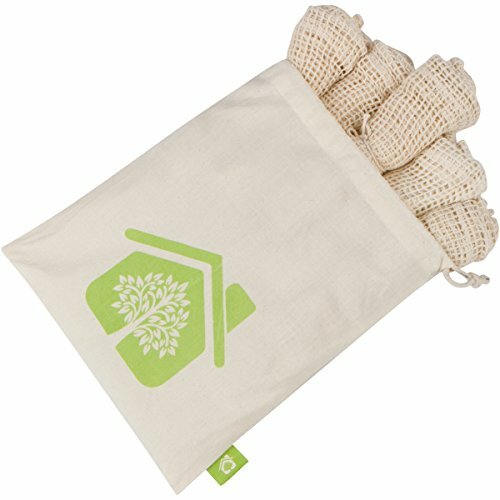 Bring your delicious produce home in your new, eco-friendly organic cotton produce bags. Your family will thank you for it, and so will your planet!